This holiday season is all about Mario. And Link. And Yoshi. And Samus. And Kirby. And … well, a lot of classic video game characters. That’s because Super Smash Bros. for Wii U and the first round of amiibo figures, Nintendo’s first foray into the toys-to-life category, are both launching on November 21, right in time for the holiday shopping season. Nintendo’s favourite characters are going to be everywhere, whether on the battlefields of Super Smash Bros. for Wii U, on store shelves as must-have amiibo figures or at the top of everyone’s holiday wish lists. With amiibo, Nintendo is letting people experience games in fun new ways. 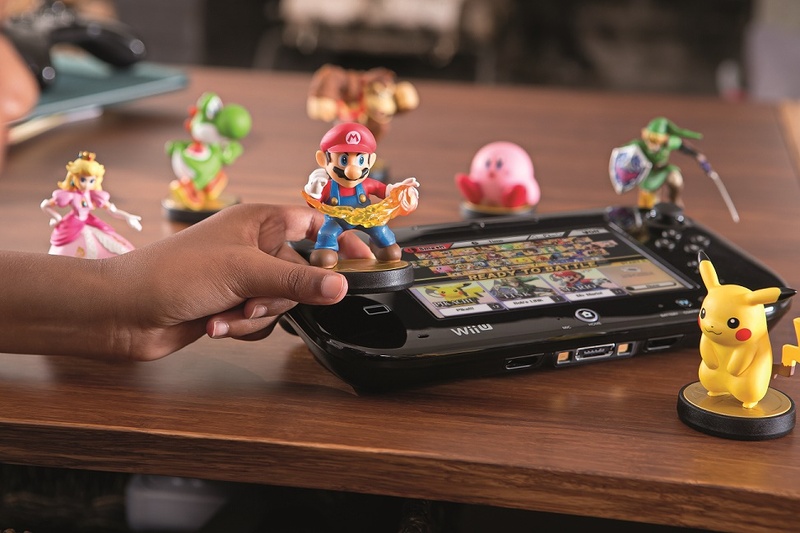 By tapping an amiibo figure to the Wii U GamePad controller, gaming’s most recognizable characters can be used in different ways in many compatible games. Some games, like Super Smash Bros. for Wii U, will save data to the amiibo, while other games, like Mario Kart 8 and Hyrule Warriors, will give you bonus content just for tapping an amiibo to the GamePad. There’s no need to purchase an additional portal accessory! When the first round of amiibo launches on November 21, 12 characters will be available: Mario, Peach, Yoshi, Donkey Kong, Link, Fox, Samus, Wii Fit Trainer, Villager, Pikachu, Kirby and Marth. Zelda, Luigi, Diddy Kong, Little Mac, Pit and Captain Falcon amiibo will be released in December, with additional figures launching throughout 2015. Individual amiibo can be used across multiple compatible games, a first for the toys-to-life category. For example, players who own a Link amiibo can use it as a fighting partner in Super Smash Bros. for Wii U, to get a fun racing suit for their Mii characters in Mario Kart 8 and to access a special weapon in Hyrule Warriors. For more information about amiibo compatibility, visit the amiibo site. Even without the added fun of amiibo, Super Smash Bros. for Wii U is easily the most robust version of Super Smash Bros. ever created. Coming off the heels of the Super Smash Bros. for Nintendo 3DS game, the first portable entry in the series, Super Smash Bros. for Wii U offers even more fun and exclusive content than ever before. In addition to a giant roster of classic video game characters and all the fighting action that fans of the series have fallen in love with over the years, Super Smash Bros. for Wii U offers plenty of new modes and stages that aren’t found anywhere else that will keep fans playing the game throughout the holiday season and well into 2015. Among the almost-too-numerous-to-count new features in Super Smash Bros. for Wii U is the ability to use the touch screen of the Wii U GamePad to create custom stages. Players who own the Nintendo 3DS version of the game can even use their Nintendo 3DS systems to control the action on the TV screen, in addition to Nintendo GameCube controller support and a variety of other available control options. (The GameCube Controller Adapter for Wii U accessory is required for GameCube controller support.) Nintendo recently premiered a video that detailed these, and more than 50 other, new features unique to Super Smash Bros. for Wii U. This entry was posted on Wednesday, November 19th, 2014 at 11:14 am and is filed under Action Adventure, Casual, Driving, Everyone, Everyone 10+, Fighting, Mobile, National News, New Releases, Upcoming Releases. You can follow any responses to this entry through the RSS 2.0 feed. You can leave a response, or trackback from your own site.